For the purposes of this piece, supernatural will cover ghosts, paranormal and the occult. Although Zombies, Vampires, werewolves etc all come under the vague heading of supernatural, I have included these elsewhere so I will not be revisiting unless absolutely essential to the development of the entry. One more thing to note, I have made my feelings on The Exorcist quite clear but I am also not completely obtuse enough to think that the film didn’t have a huge impact on horror cinema. With this being said I will try my utmost to refrain from ranting about the dread that fills my soul whenever I contemplate the diabolic drivel that is The Exorcist! ......... Starting now. more than 1973’s The Exorcist. While my views are possibly panned by anyone who reads them, I stand by them. However, I appreciate that while I dislike the film, its impact on cinema was felt throughout the world. It was the first recognized Horror film to be nominated for a Best picture Oscar, it is currently on something like its 18th 'New' and 'Improved' edition/uncut/directors edition release and enjoys (still) a massive following. Following on from The Exorcist came 2 sequels. The first (The Heretic) has been universally panned and the other (iii) was released in 1990 and was directed by the original producer and scribe William Peter Blatty. 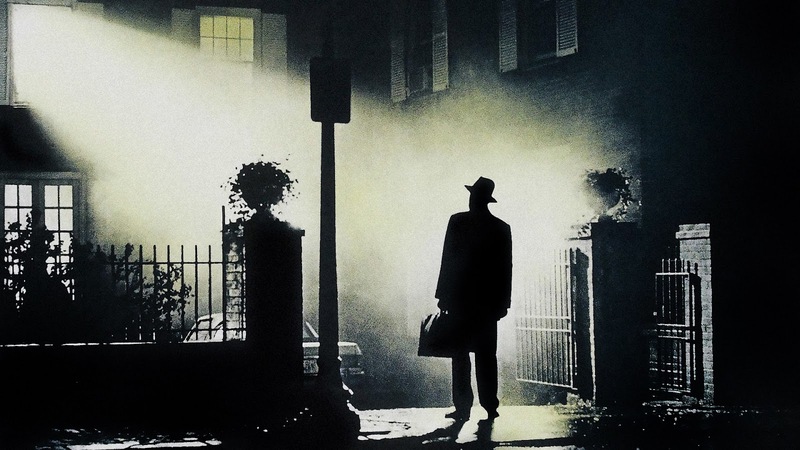 The Exorcist 3 had very little connection to the previous efforts and Blatty himself revealed that his intentions were to call the film after the book on which it is based (Blatty’s own ‘Legion’). 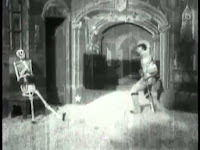 It has been muted that the poor Box Office return is blamed on its connection to the diabolical Heretic. 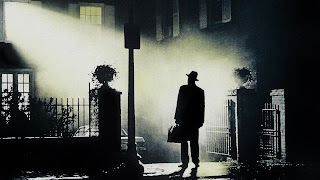 Who knows, if Legion had been allowed to remain a separate entity in the exorcist franchise or if the Heretic had never been allowed in the first place, things may have been different???...... Anyway, there is my diplomatic Exorcist entry. 3 Years after the release of The Exorcist came another film with religious tie-ins, The Omen. While The Omen was more enjoyable as a whole than The Exorcist, its timing was perhaps as much a hindrance as it was a blessing. It was very well received as one of the best films of 1976 but one can’t help wonder how its perception and reception in the long term would have been much greater had it not been released in the shadow of The Exorcist? Either way, if there is one thing the two films share it’s a fantastic score, both creepy and instantly recognisable no matter what generation of Horror fan you might be. A third and final mention for the demonic style horror film must be given to another film released in 1976, Carrie! 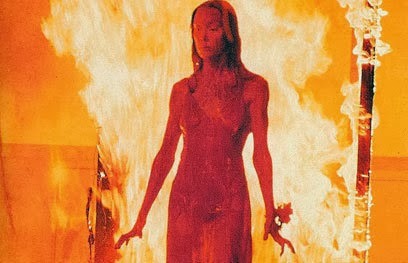 Based on the novel of the same name by master of horror Stephen King, Carrie White, played by Sissy Spacek, was a misunderstood school girl who after some dramatic events shows signs of telekinetic powers which culminates in one an iconic horror moment as she unleashes holy hell upon her fellow school pupils who have ridiculed her! With a remake around the corner, Carrie is an example of another 70’s classic which is deemed to “need a revamp!” Personally, I consider Carrie to be one of my favourite “classic” horrors and as such, should be left alone. Saying that, I am more than sure that I will enjoy the remake! Skip forward a few years and we find one of my favourite films, 1979’s The Amityville Horror. Starring James Brolin, Amityville follows the “real life” misfortunes of the Lutz family who in December 1975 moved into 112 Ocean Avenue. The house which just over 1 year prior had been home to the DeFeo family, most notable of whom was Ronald DeFeo Jr: who on the night of November 13th 1974, shot and killed his entire family. This horrifying real life atrocity was the foundation for the tale of the Lutz family and the account of their haunting experiences during the 28 days in which they occupied the house. While the book and the surrounding media attention was possibly a good thing, the film that was released in 1979 was the icing on the cake. It is up to you to decide your opinions on the whole scenario but there are two things that are a dead cert.... Ronald DeFeo Jr is a psychopath who will live out his days behind bars and The Amityville Horror was a fantastic film! 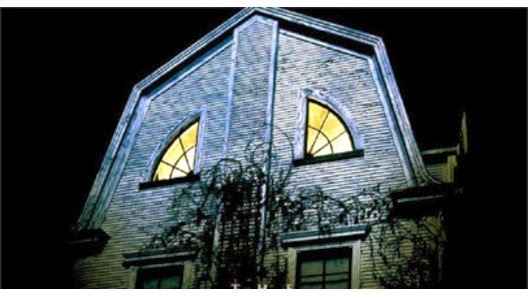 but it bridges a big gap between Amityville and the wonderful decade known as the 80’s. 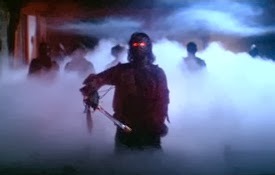 Receiving its release in the early light of a brave new decade, The Fog stars Jamie Lee Curtis, Adrienne Barbeau and Janet Leigh. As the title suggests, the horror lies within the fog itself, which unveils vengeful ghosts upon a small fishing community. With this film coming two years after Carpenter’s Magnum Opus it was always going to be a tough act to follow, after all, Halloween remains THE Go-To Slasher flick! 1980 saw the release of The Shining. 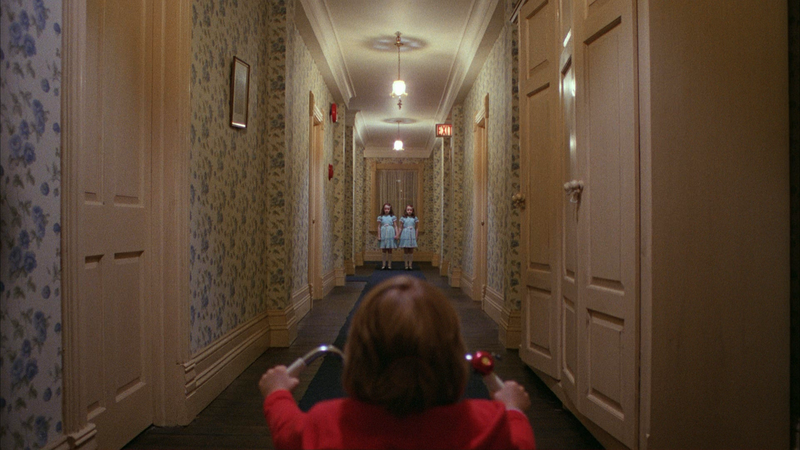 A film directed by Stanley Kubrick, based on a novel by Stephen King and starring Jack Nicholson and Shelley Duvall. Jack Nicholson plays Jack Torrance, a writer who takes a caretaking job at an isolated hotel during its off-season. If you only have one film from the 1980’s to watch, please make it this one. Initial response to The Shining was mixed at best but in reality, it’s one of the most atmospheric, original and brilliant examples of horror cinema ever! With someone like Kubrick at the helm, it’s very hard to argue. 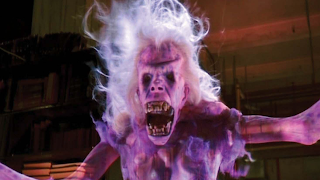 between the time the first and third films were released has been linked to the curse. 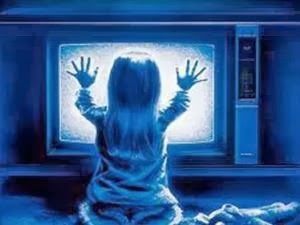 Although all loss being tragic, the most notable is that of Heather O’Rourke who played Carol Anne in all three films and is responsible for one of cinema’s memorable spine chilling moments with the uttering of “They’re here!”. Sadly she died just before the release of the third film at the age of 12! Some might call the ‘Noughties’ the decade of the remake (A decade which is running over by a few years) but the 80’s will certainly be remembered for its multiple sequels! With The Amityville saga picking up pace by adding no fewer than three sequels to its list and many horror films from other genres chirping in with sequels of their own. Poltergeist 2 & 3 were also released. Although early examples of sequels were no more enthralling than modern day ones, it is always an easy way to “cash in” on successful franchises. I think the majority of the Nineties were a fairly grim time for the Supernatural horror film, it wasn’t until the late 90’s which saw this dip take a more than welcome turn towards the sky! An onslaught of supernatural films including remakes of both House on Haunted Hill and The Haunting as well as The Sixth Sense and Stir of Echoes to name but a few. This was joined in part and to the masses slightly later but the late nineties also saw the Western Hemisphere’s love of J-Horror films flourish. Ringu followed closely by a sequel would both be successfully remade for the English speaking market and with it bring many, many other Asian Horror films to the forefront of our consciousness which in turn were also remade! House on Haunted Hill was a remake of a Vincent Price classic from the 1950’s and probably became the first major remake of the new remake generation. 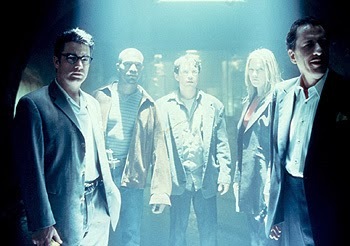 It starred Geoffrey Rush, Famke Janssen, Taye Diggs, Ali Larter and Jeffrey Combs. Although many would disagree, I rather enjoyed this film as a fun, atmospheric horror film with some great scenes even if it was slightly let down by the ending. Another remake from a similar stock was the much more family friendly The Haunting. Released in the same year as Haunted Hill (1999), The Haunting starred Lili Taylor, Liam Neeson, Catherine Zeta-Jones and Owen Wilson. Again, it wasn’t very well received by the masses despite performing well at the box office but I enjoyed it! 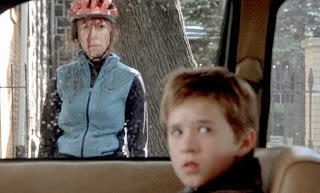 One film that stands out from the crowd and practically forged its own place in the horror genre was The Sixth Sense. 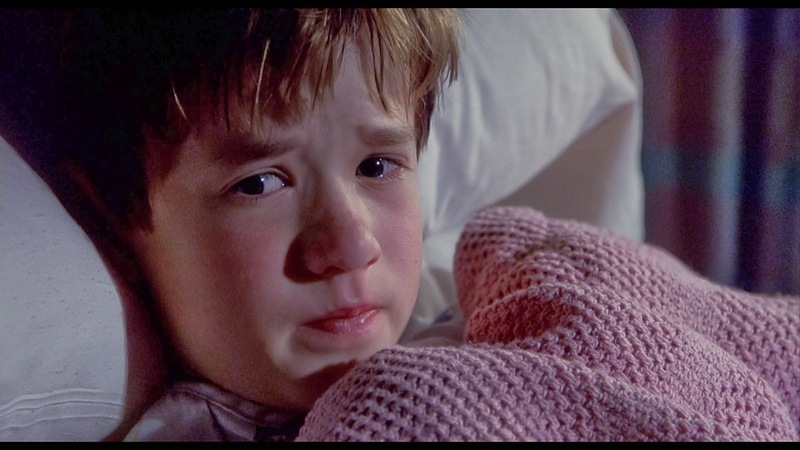 Also released in 1999, The Sixth Sense stars Bruce Willis and Haley Joel Osment. 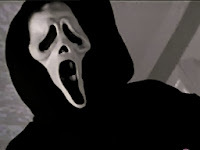 Directed by M. Night Shyamalan, it remains one of the most successful horror films of all time in terms of both box office performance and critical response. In my opinion, M. Night Shyamalan is one of the most underappreciated directors in the business. His films may be on the obscure side, but as evidenced in The Sixth Sense, his vision and ability to tell a fantastical story puts him up there with the best! This film also gifted the world with one of the most parodied and overused lines from any movie..... “I see Dead People” I need say no more! 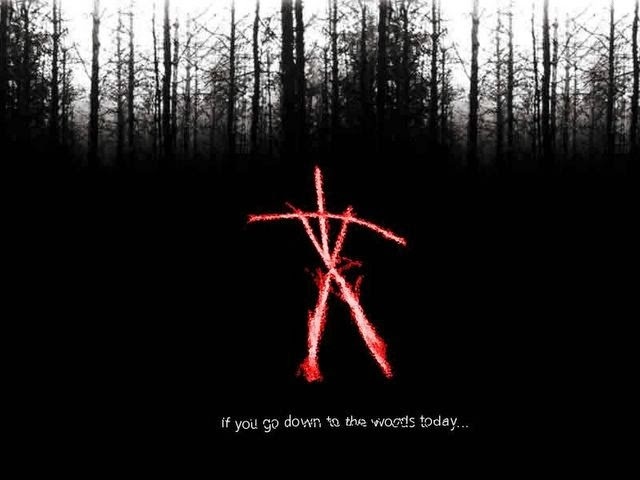 1999 was a very good year for horror in general, no more was it the dark dingy, poor little brother of the thriller, thanks to efforts made in other sub-genre’s, the supernatural film came into its own during this year and there are few greater examples of the next generation of cinema than The Blair Witch Project. 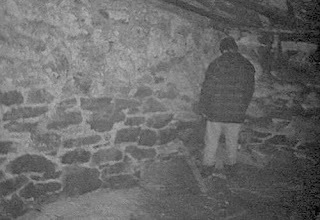 Made with a relatively miniscule budget and a fantastic publicity campaign ran via the internet, The Blair Witch Project had gold written all over it! Upon its release it left audiences awe-struck and despite some people writing it off nowadays, it remains my favourite and in my opinion, THE best horror film ever made. Unlike most people, I also really enjoyed the sequel, The Book of shadows. BOS:BW2 follows a group of tourists as they attempt to make their own documentary in the Burkittsville woods. Starring Jeffrey Donovan, it was a total change of pace from the original but still enjoyable! As I have mentioned, a wide variety of Supernatural films are much more high-brow than other genre’s of Horror and as such, they enjoy a much healthier box office run. To compare, according to BoxOfficeMojo.com the biggest grossing Supernatural film is The Sixth Sense, taking approx $672 Million worldwide whereas the biggest grossing slasher film is Scream which took a little over $173 Million! In terms of quality, both fantastic films but the high-brow supernatural film taking more than three times that of the slasher. That is in no way a reflection of anything other than mass appeal. More people find the appeal of a thinker starring Bruce Willis more compelling than a revolutionary slasher film from a horror master. People are fickle! I seem to have skipped through the decades fairly quickly here but I wanted to speed through them because the noughties and beyond prove to be the most fruitful for the genre and there is quite a lot to get through so without any further ado, here we go. 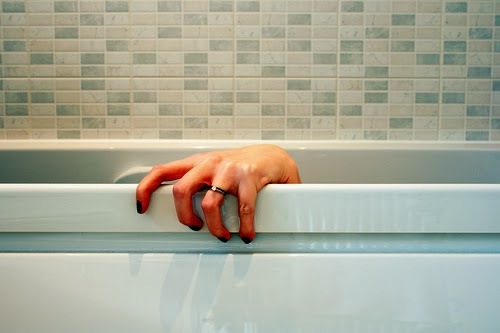 I suppose a good place to start would be at the end, or more specifically, Final Destination. FD was released in 2000 and had a good start of the box office, although it didn’t fare so well when it came to its critical reception. Another in a long list of films which was received poorly that I fervently disagree with! With a premise that revolves around a premonition of death and death subsequently picking survivors off one by one to show that fate is inevitable, the story is there and as an original concept, it is fairly exciting. On the whole, it was well acted by a good group of upcoming actors including Seann William Scott and fresh from The House on Haunted Hill, Ali Larter. The atmosphere along with the intricate ‘mouse-trap’ style death scenes are enough to keep anyone hooked! 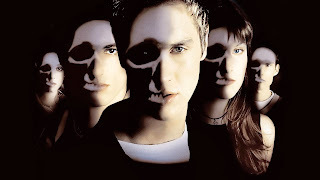 Final Destination has now proven itself to be a good money spinner having spawned three sequels and a prequel to date and hopes of a 6th instalment are not going to be met with any groans from me. 2000 was a good year for the supernatural thriller, another came from Robert Zemeckis. Starring Harrison Ford and Michelle Pfeiffer, What Lies Beneath was a great thriller full of twists and jumps and with the all star setting, it proved to be a massive hit. So much so, that according to Box Office Mojo, What Lies Beneath is the genre’s third highest grossing film in the states. As it turns out, What Lies Beneath was the very first film I ever purchased on DVD over a decade ago as I spent some hard earned cash on my very first DVD player and movie. Following on from the success found from other remakes, the noughties provide a whole rich vein of remakes coming in many different shapes and sizes. Thirteen Ghosts starred Tony Shalhoub and Shannon Elizabeth and although many consider the film to be a let down, I rather enjoyed it. Some fantastic special effects and no one can argue that as menacing spirits go, Thirteen Ghosts does not disappoint. There are many more to follow but 2001 provided us with one of the definitive remakes and an early standard for all that follow. 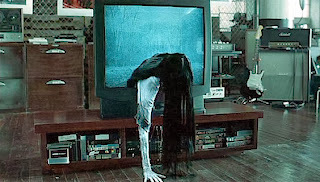 The Ring was only released in its native Japan in 1998 but its success was so great that it warranted an English language version for the western world. With Gore Verbinski at the helm and Naomi Watts as the lead, The Ring starts with a bang and continues on unrelenting. Although it only partially captures the atmospheric creepiness of the original, it is still a fantastic film! A sequel was released in 2005 to a slightly cooler reception but still a good film. More paranormal exploits from the far-east include The Grudge, its sequel, The Eye, Dark Water and Pulse to name just a few. All of which failed to live up to the standards set by The Ring. Personally, The Eye and Pulse are the only disappointing ventures with the rest being very enjoyable. Fear Dot Com starring Stephen Dorff was released in 2002 and while it was poorly received by the masses and ultimately equates to a rip-off of The Ring, it did have some brilliant ideas and instead of using the fast dying medium of VHS, it used the internet. Possibly the only original aspect of this film but nonetheless a watchable film. One film of special note was 1408. Released in 2007 and based on a short story by the master of Horror Stephen King. 1408 sees a washed up writer (John Cusack) resorting to reviewing supposedly haunted hotels. His stay at The Dolphin Hotel however would prove to be more than he bargained for! 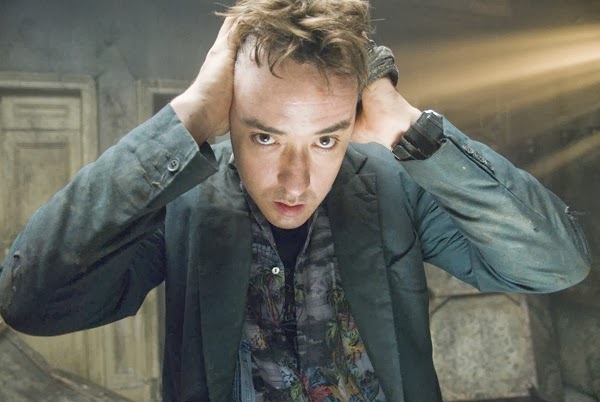 Some great twists and turns together with some good acting from Cusack help make 1408 one of the most enjoyable horror films available. As a quick run-down of a few more supernatural films that come to mind from 2007 include The Orphanage, a Spanish language film with Guillermo Del Toro as executive producer. Dead Silence, a James Wan directed film with haunted ventriloquist and her dolls! The Messengers, which stars a pre-Twilight but equally miserable Kristen Stewart was also released in 2007. 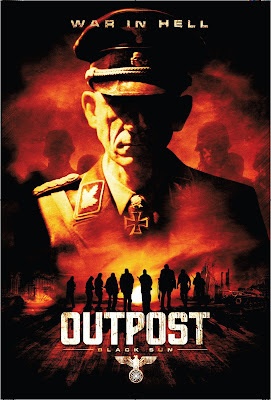 As far as low budget supernatural horrors go, none were quite as good in 2007 as Outpost. 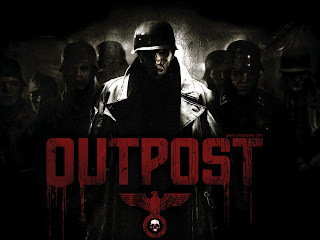 A group of mercenaries hired to protect a businessman as they travel through war torn Eastern Europe. They are led to an old military bunker which holds a horrifying secret. As the years go on, more and more ghostly activities come out and as times change, so do the techniques but in 2009 a film was released which took the world by storm! Paranormal Activity was the first feature to be directed by Oren Peli and followed in the footsteps of Blair Witch as a “found footage” film made on a shoe string budget. Despite all the hype, I found it fairly boring and one dimensional but due to its impact on horror cinema in the last decade, it definitely deserves a mention. However, its 3 sequels (to date) do not! Peli lends his producing head to the next film of note. A film which I thoroughly enjoyed and would consider it to be one of my favourite horror films of recent years. Insidious! 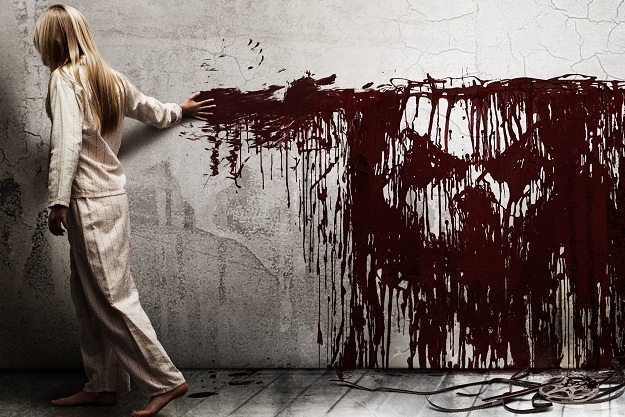 Released in 2010, Insidious was another film directed by James Wan who continues to impress as he flourishes his fledgling career with yet more horror delights. He began by giving the world Saw and hasn’t looked back since! 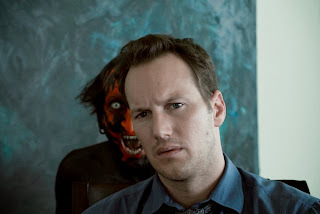 Insidious, while being fairly unoriginal in premise delivers some fantastically original visions. A seemingly haunted house story begins to play out in far different ways! I recently watched a film which reignited my love for the world of supernatural, Grave Encounters. Released in 2011, Grave Encounters follows in the footsteps of films like Paranormal Activity and House on Haunted Hill but what starts off feeling like an under budget bargain bin film, ends up being one of the scariest and most enjoyable horror films I have seen in a long time. Certainly in my eyes, this fad of found footage horror has been set a new bar to reach and I am also glad to say that a sequel is to be released in the UK very soon!